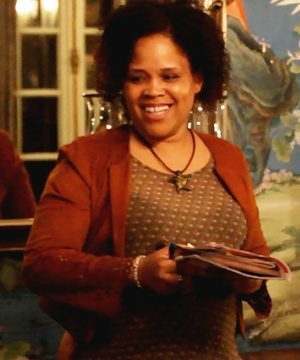 Tonya Hopkins specializes in the food and food ways of African Americans from the Mid-Atlantic and northern states. A graduate of University of Pennsylvania, Hopkins is an enthusiastic cook and a collector of oral recipe traditions in the African American community. In 2014, Hopkins notably conceived and recreated a tribute dinner to Anne Northup at the Jumel Mansion in New York City. She is also a certified wine expert, specializing in pairing historic foods with wines. Hopkins served as the historian and events director for the James Hemings History on a Plate Dinner at the 2015 MidAtlantic Food and Wine Festival. At the tribute dinner, Hopkins talked about the importance of the Mid-Atlantic region and the development of colonial food as influenced by black chefs in America.